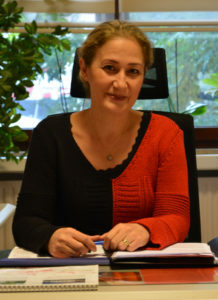 Ms Nurhan Uludağ has been our business administrator since September, 2002. She is also responsible for the financial running of the school. Through good, close and loyal cooperation with the school administration, the school board and the parents’ council, she contributes to the success and progress of our school and for our students and our parents. Please make an appointment with the school office to view the campus or to discuss any other issue.